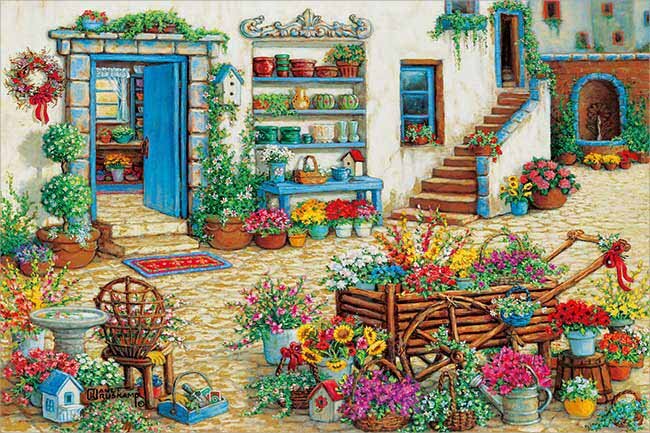 Courtyard Flower Shoppe | APPLE ONE Inc. Jigsaw Puzzles | Products information About APPLE ONE Inc. Artist: Janet Kruskamp. Licensed by Bentley Licensing Group. © 2005, 2018 APPLEONE Inc.